We have seen levitating Bluetooth audio system and connected smart cameras earlier than, but the new product namely: Moon, a totally funded Indiegogo project, melds the ones technologies in a $209 ($330 at retail) floating robotic eyeball and base that can also act as a smart hub for your home. 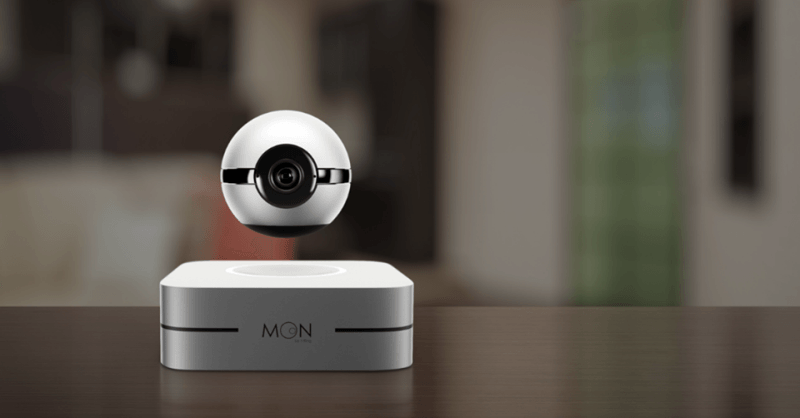 The Moon is an innovative and versatile smart home camera that includes two elements inclusive of the digicam and its base. The spherical camera measures 7.5cm in diameter, and its base measures 15 x 15 x 6cm. Not like any smart home security digicam available on the market, the Moon has no included stand and included mounting tools. All we want to do is simply area it on a flat surface consisting of your wall shelf, desk and more. Using magnetic levitating technology the smart home security camera can glide above its custom base, and it capabilities a 5MP CMOS sensor and 130 degree wide perspective lens with f/2.0 aperture, so it offers a wide tracking vicinity on your room, and included IR LEDs are designed for night imaginative and prescient. It also supports 1080p video resolution at 30fps. Moreover, the use of built-in sensors the Moon usually detects motion and noise, and it is able to mechanically rotate toward it, taking a picture or responding in a redefined manner. Built-in WiFi permits it to send notifications in your cellphone as soon as detecting any movement and noise, and you may additionally use its custom app to test your room, immediately manipulate the camera or talk with your own family. Furthermore, the Moon also monitors your own home’s temperature, humidity and CO2, and it serves as a smart home hub that features incorporated Zwave Plus, Zigbee 3.0 and clever Bluetooth modules and it really works with Amazon Alexa, Apple HomeKit, Google home, Samsung SmartThings, Honeywell, IFTTT and more. The crew behind the Moon has effectively raised enough fund for the product thru Indiegogo, but we will still preorder the levitating smart home camera through pledging $209 USD. It will likely be shipped in March next year.